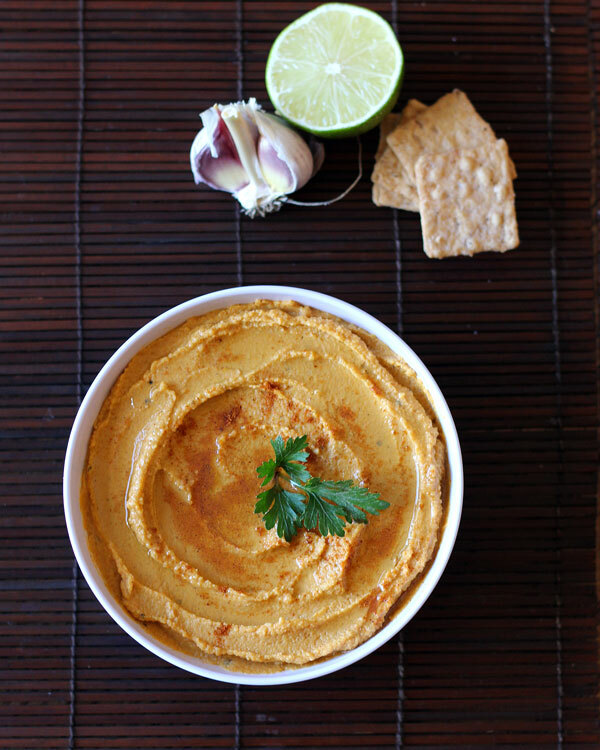 Hummus fitting for the season – including pumpkin puree, lime juice and garlic (of course). I am kind of on a crazy pumpkin kick these days. 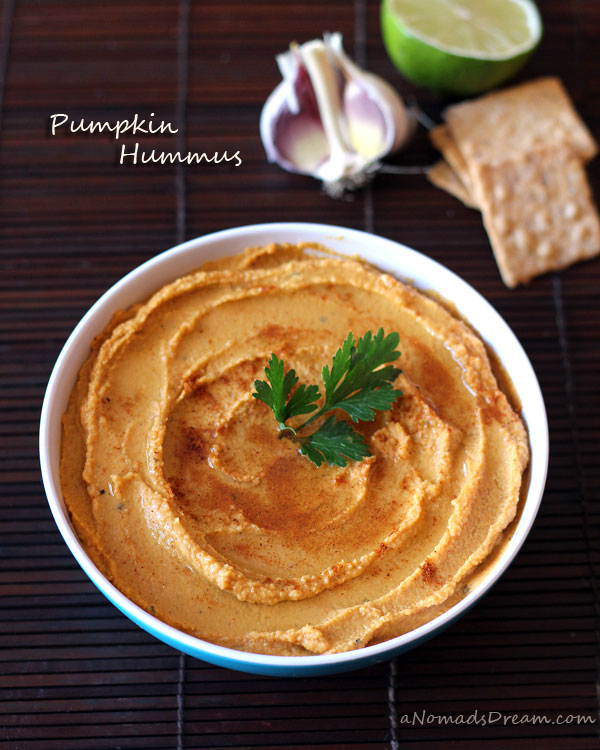 So when I saw the idea of adding pumpkin puree to hummus, I knew I would love it! 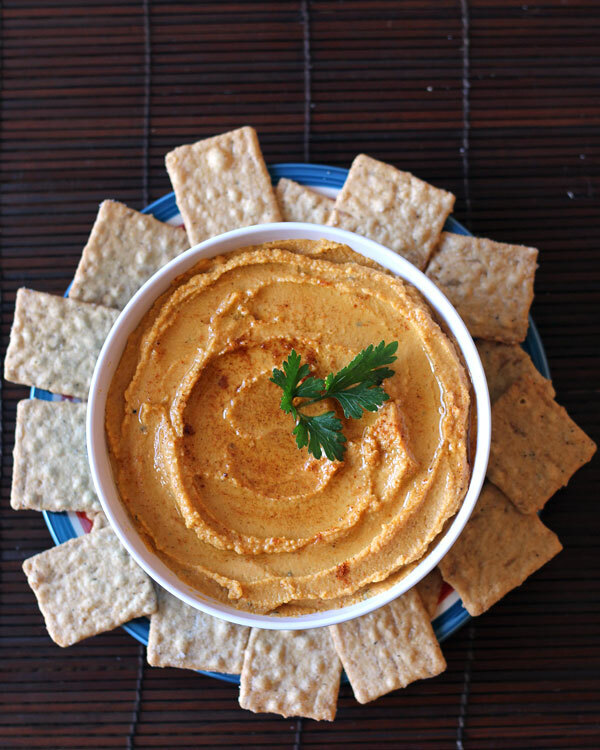 Because, well, I already love hummus – that Middle Eastern/Arabic food dip or spread made from chickpeas, olive oil, garlic, salt and pepper and tahini. Now you know why I posted the homemade Tahini recipe last week. I needed it for this awesome pumpkin hummus. Most traditional hummus recipes use lemon juice but this pumpkin version is really awesome with the aroma of lime juice. Try to use lime if possible. Do you know the secret to really smooth homemade hummus? It’s getting rid of the chickpea skin. Now, I don’t recommend peeling the skin off each chickpea one by one – it takes a looooong time and you’ll never want to make your own hummus again. Here is what I do instead. 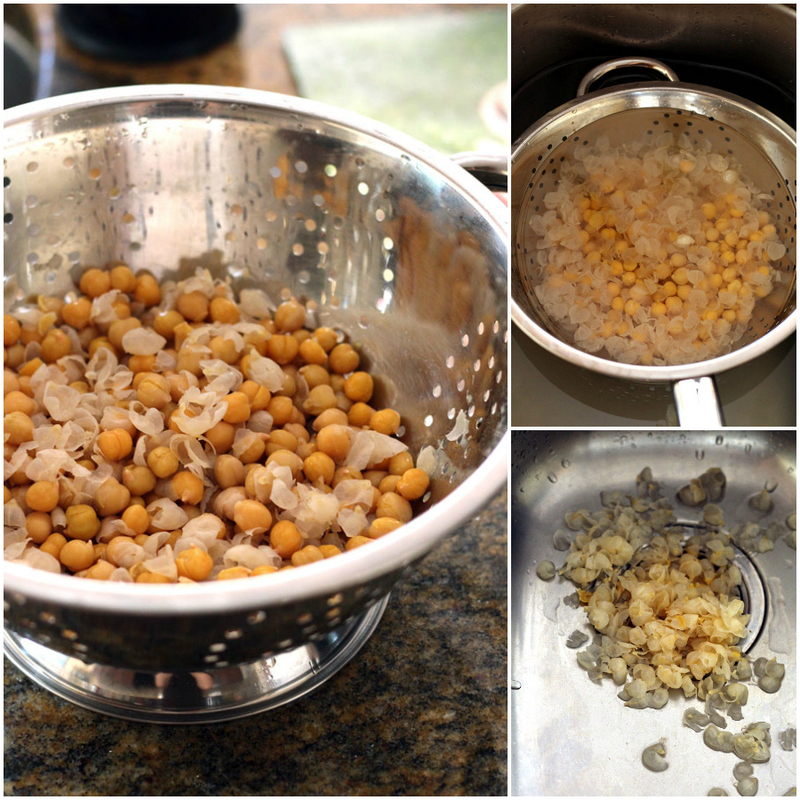 Place the chickpeas in a colander and while you are draining and rinsing them, rub the chickpeas vigorously. It’s ok if they get squished a little, since we are going to blend them all anyway. Then immerse the colander in a bowl (or sink) of water. The loose skins will just float to the surface and you can easily skim them off. Don’t worry if there are still some chickpeas with their skins remaining – this isn’t neuroscience. 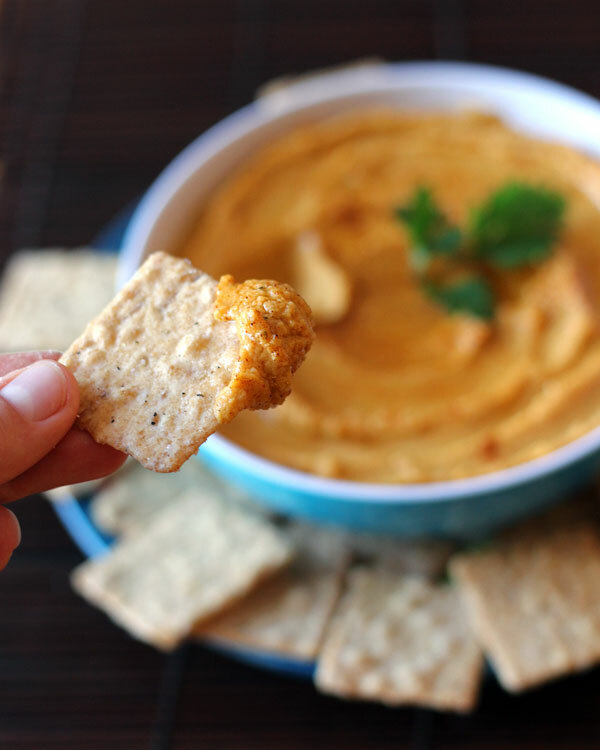 Veggies like cauliflower or carrots make awesome dipping tools for hummus. My newest obsession however, are these gluten-free Brown Rice Thins, especially the Sea Salt & Pepper flavor. In Canada they are by Christie, which usually is Nabisco in the US. Start by draining and rinsing the chickpeas in a colander. Rub vigorously to loosen the skins. Place in a bowl of water and skim off skins floating at the top. Place all ingredients in a food processor and puree until smooth. Add more oil (or water) as needed for desired consistency. Taste and add more salt, pepper, cayenne as needed. Place in a serving bowl, drizzle with olive oil and sprinkle with paprika. Serve with vegetables, pita, crackers etc.